Opened by NSW Minister for Education, The Hon. 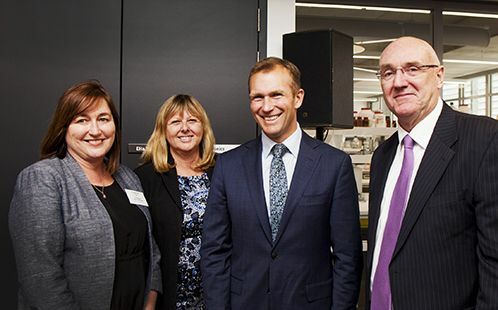 Rob Stokes MP, the three-storey building is a much-anticipated infrastructure project for the University. With a total floor area of over 4,600 square metres and capacity for over 400 students and staff, the new building brings together the University’s School of Science and Health, the School of Social Sciences and Psychology, and the Advanced Materials Characterisation Facility (AMCF) in one central location, fostering greater teaching and research collaborations. 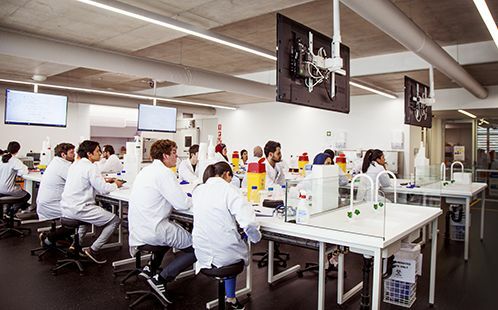 Vice-Chancellor Professor Barney Glover says the new facility provides the very best contemporary teaching spaces and research laboratories for the University’s undergraduate and postgraduate population. 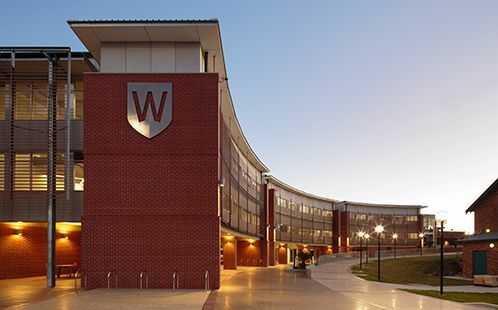 “This is a welcome and much-needed new facility for students and staff at Parramatta. The new building has been specifically designed to facilitate interaction and promote active learning and research,” says Professor Glover. “Not only does it allow us to significantly expand our science and medical science offerings on campus – a major boost for aspiring scientists in the region – but for the first time, it gives our students the chance to study our highly-regarded psychology and art therapy programs at Parramatta. The new building is a vital research hub, providing laboratory spaces for academic researchers and a growing number of PhD and Masters students, as well as being the new home to the Advanced Materials Characterisation Facility (AMCF) – one of the University’s most important scientific facilities. The AMCF is a suite of multi-million dollar instruments used by researchers, students, and industry to help better understand our world. The equipment, which underpins much of the research conducted across the University, has a magnification of one million and can be used to analyse materials ranging from concrete to plants, to gun-powder residue and paint chips from priceless paintings. The Science Building’s environmental credentials are also highly impressive. A 6-Star Green Star building, it incorporates some of the most cutting-edge building methodologies into its design and construction. Innovative solutions, combined with a 100kw photovoltaic array and numerous green features, mean that the building significantly reduces its energy needs and minimises its environmental footprint.